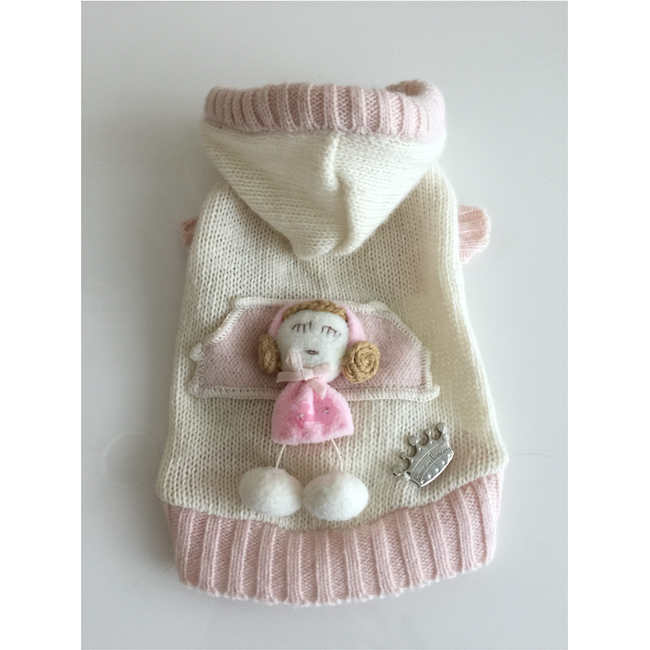 A cute little sweater from Prince and Princess of Italy. Cream color with pink around the hood, sleeves and hem. 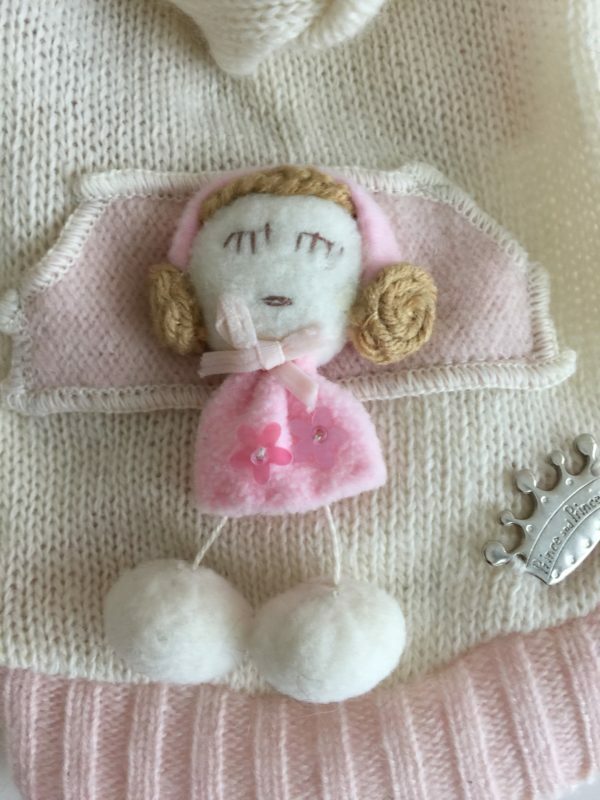 Adorable little doll with pink dress and pom pom legs. Made of 80% wool and 20% cashmere.